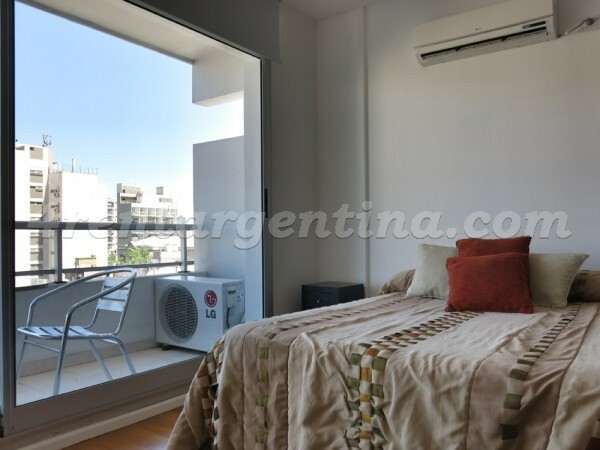 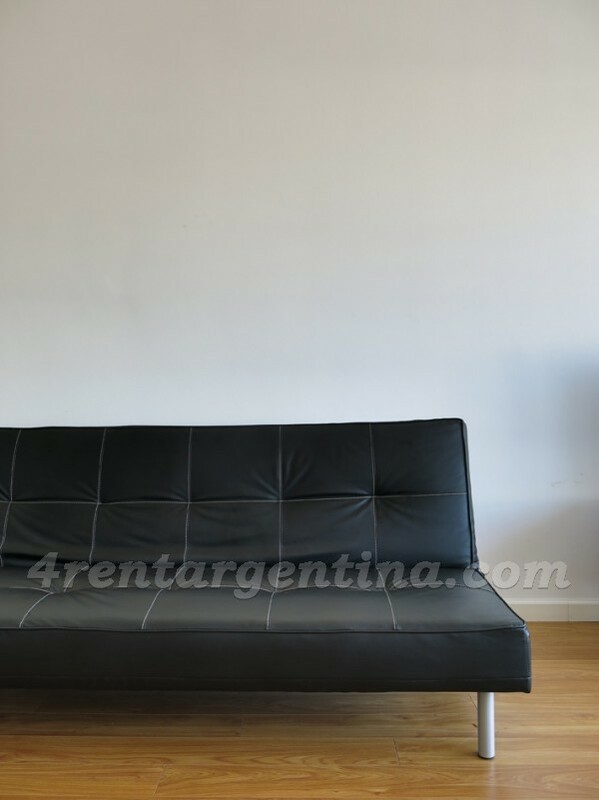 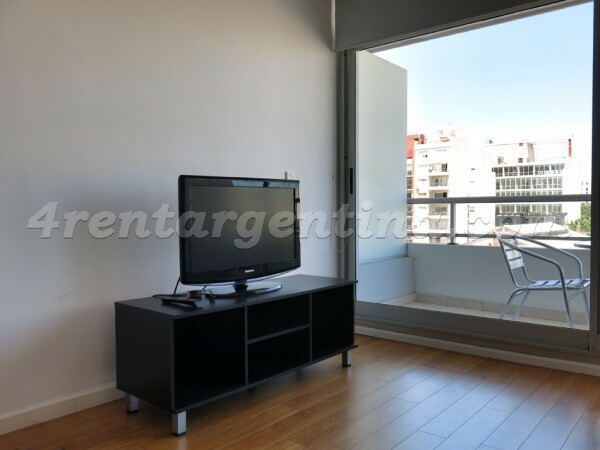 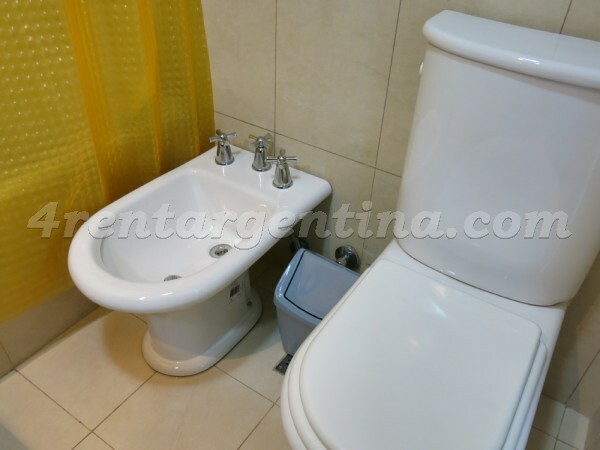 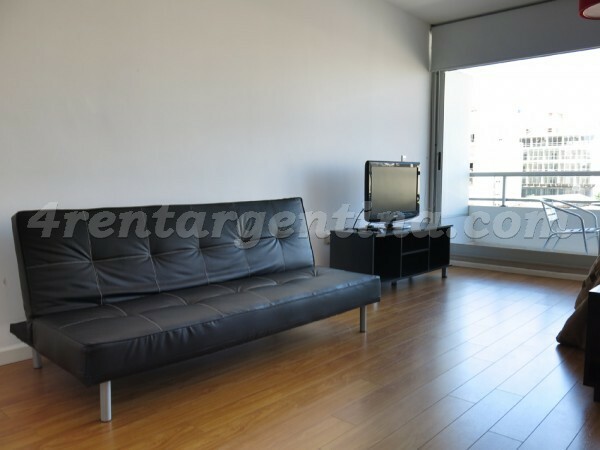 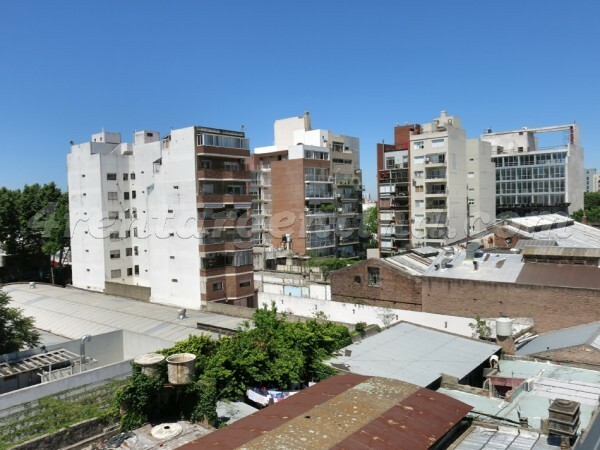 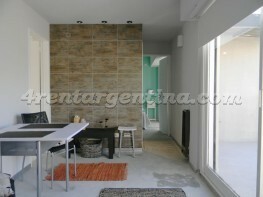 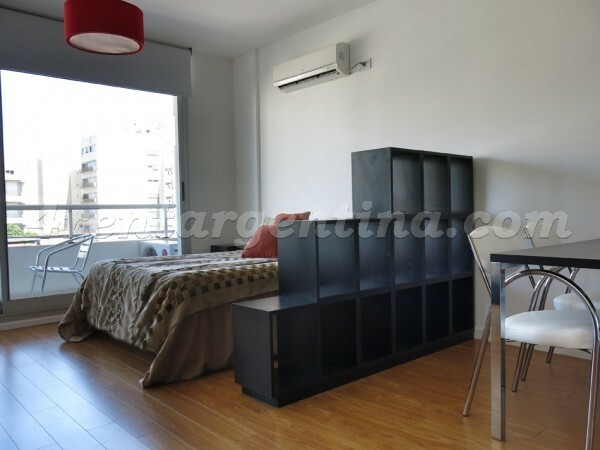 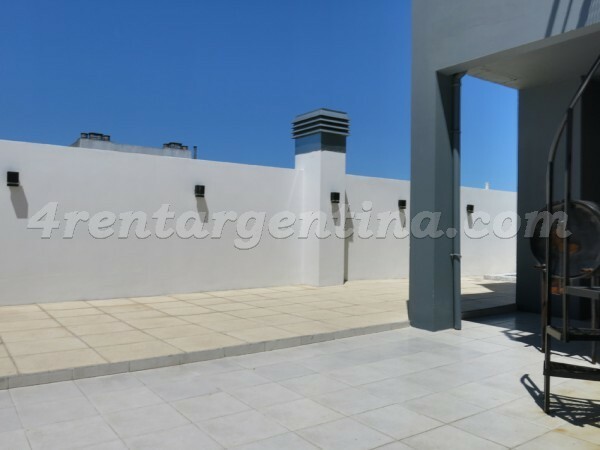 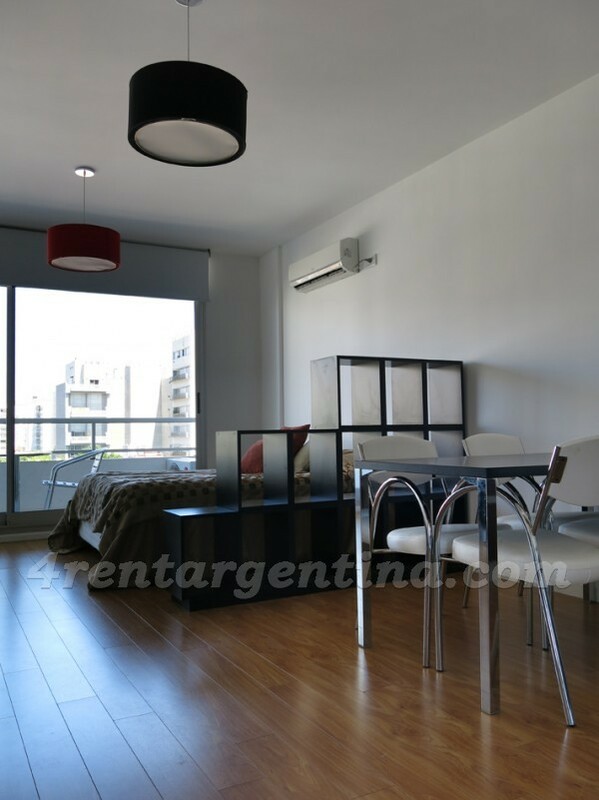 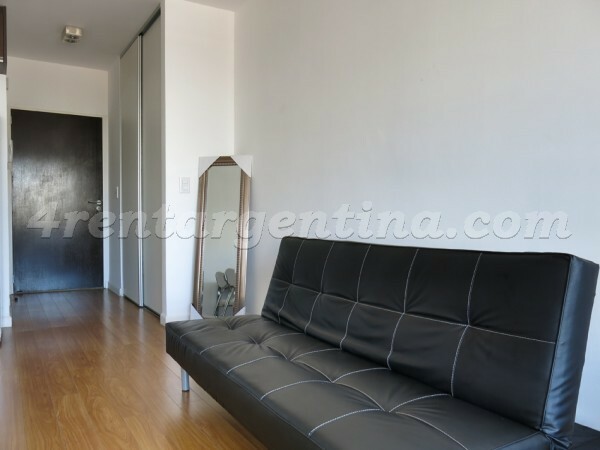 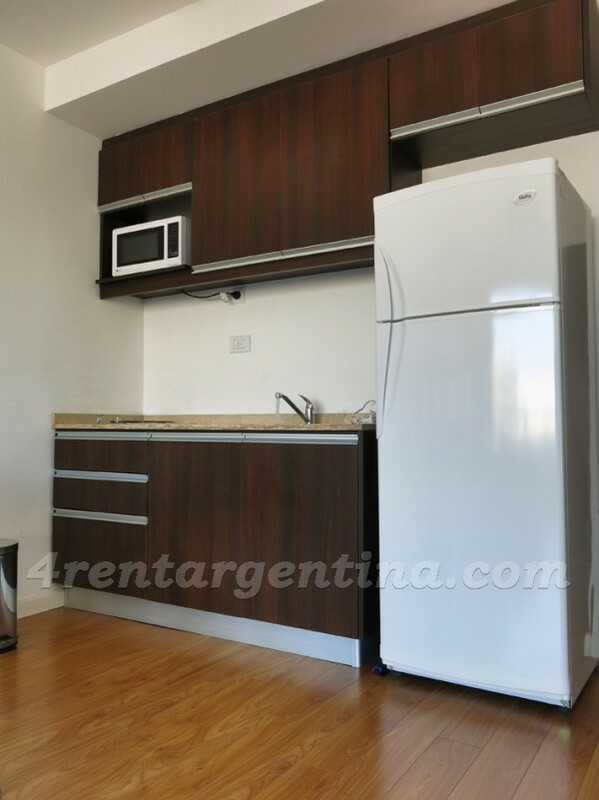 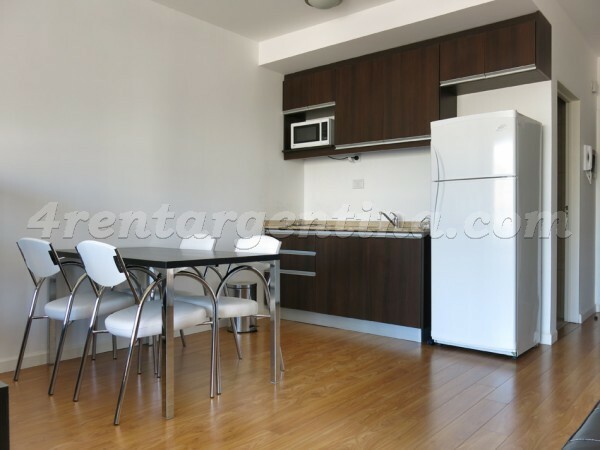 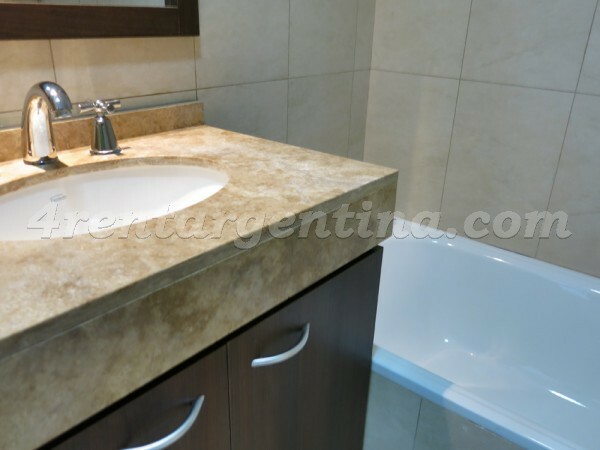 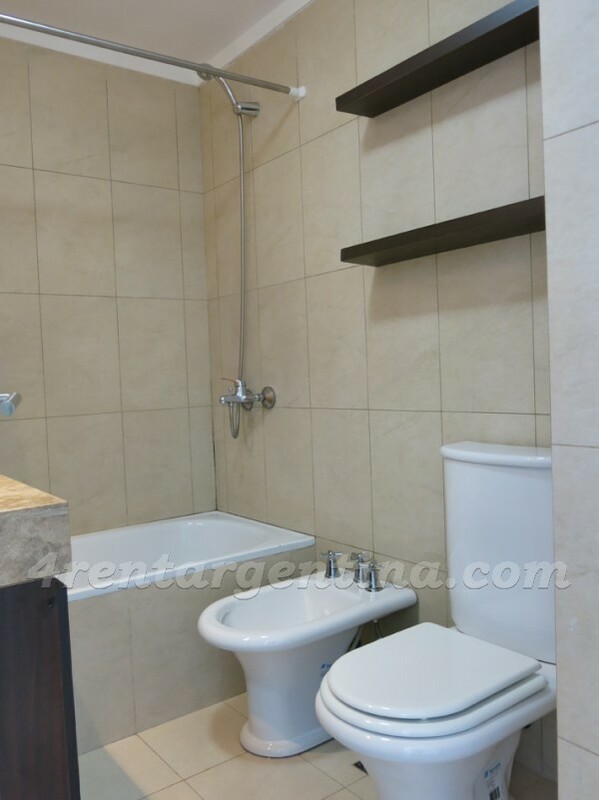 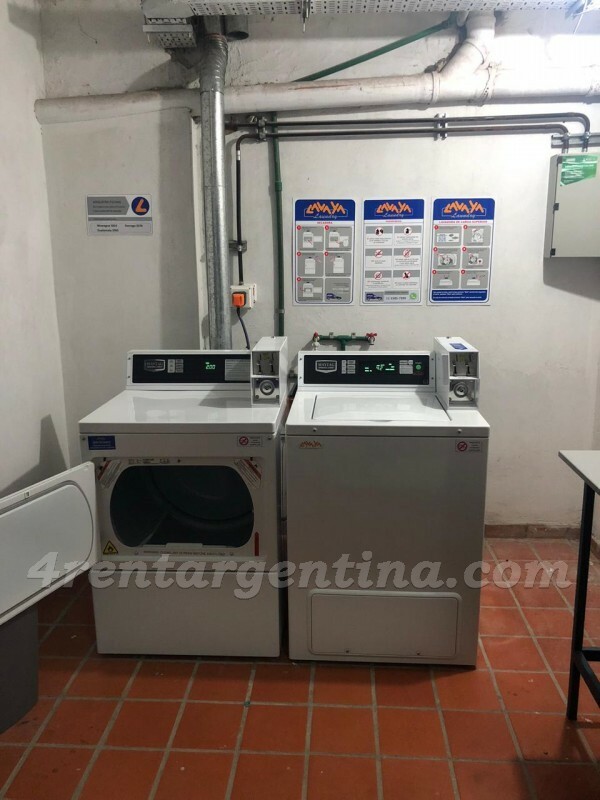 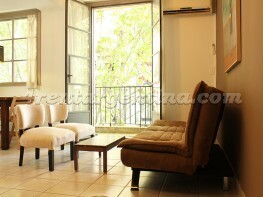 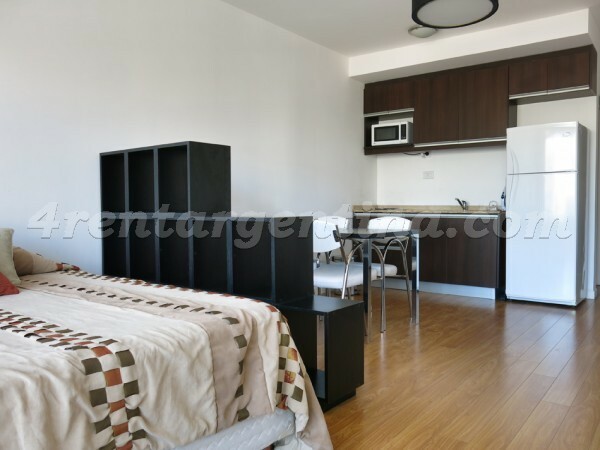 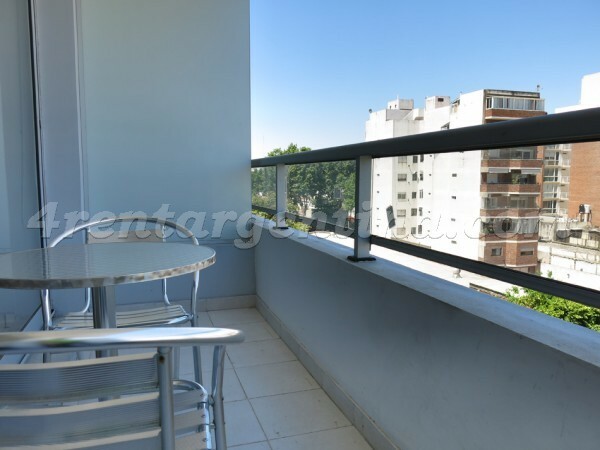 Modern furnished studio apartment for temporary rent in Buenos Aires, located in Palermo, four blocks away from Santa Fe Avenue, in an area surrounded by several means of transportation, shops, bars and restaurants. 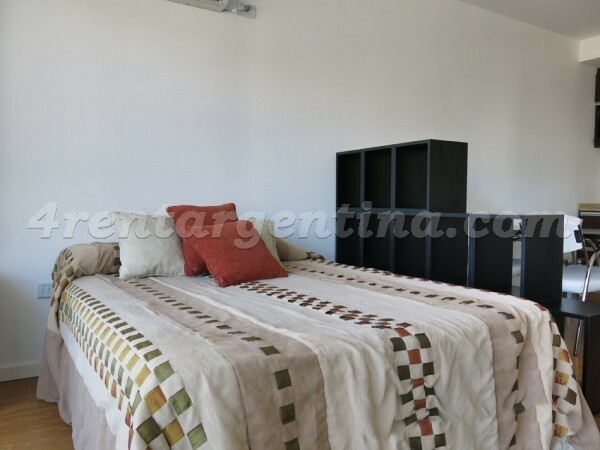 This luminous studio is ideal for three people and has everything you may need for an excellent stay in Buenos Aires: a double bed, a single sofa bed, TV, table and chairs, an air conditioner, an integrated kitchen with electric stove, a full bathroom with tub and a balcony. 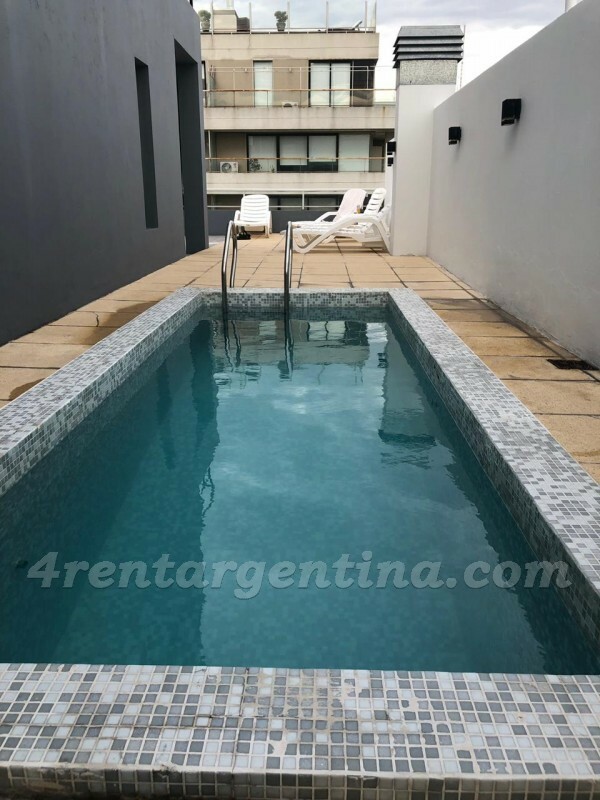 Besides the building offers swimming pool and terrace.